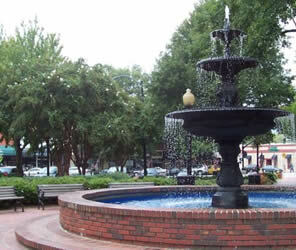 Marietta offers history, theater, fine dining and beautiful shade trees. Atlanta Tree Arbors, located in Marietta, GA, provides tree removal service in Marietta, GA and the Cobb County area. Call 770-256-4599 for a free tree removal estimate in Marietta or Cobb County. The tree service professionals at Atlanta Tree Arbors have the training, knowledge and equipment necessary to handle any tree removal job in Marietta and Cobb County, so call us today for a free tree service estimate or insurance work. Tree removal in the City of Marietta, GA is is subject to city and Cobb County county zoning ordinance requirements for both residential or commercial property. In general, permits are not required to remove dead or diseased trees from residential property. Permits may be required for Commercial property, depending on where the tree is located.